The Philippines and State of Kuwait have amended their air bilateral accord to allow more flights to be flown between the two countries. The latest bilateral amendment will allow flights to be increased from the current 6 per week to 29 per week instead. Flights to Manila can be increased to 8 per week, while an additional 14 flights can be operated to Clark Airport and seven more from other Philippine cities. FRA/BAH - effective March 29, capacity reduced from 4 weekly A 333s to 4 weekly Boeing 737-800s which are wet leased from Privat Air that seat 32 passengers in business class and 60 in economy class. FRA/DMM - capacity reduced from 3 weekly A 333s to 3 weekly Boeing 737-800s effective March 29. 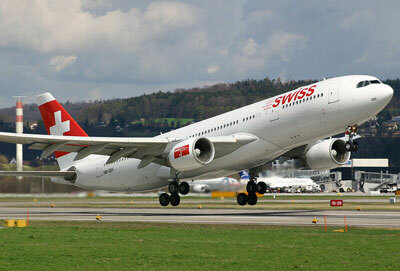 FRA/KWI - frequencies increased to daily nonstop terminator flights using an A 333 effective March 29. FRA/AUH/MCT - frequencies increased to 6 weekly flights using an A 343 effective March 29. FRA/THR - effective Oct 27th, frequencies for winter 09-10 season increased from 5 weekly A 343s to daily nonstop flights using a larger A 346. FRA/CCS - maintains a daily nonstop A 346 for the winter 09-10 IATA season. MUC/TLV - new nonstop flights officially confirmed starting from April 26th three times a week using an A 343. KHI - frequencies increased from 4 weekly to daily nonstop terminator flights using a B 737. JED - frequencies increased from 2 to 4 weekly nonstop flights using a B 737. RUH - frequencies increased from 2 to 4 weekly nonstop flights using a B 737. LHR - capacity increased from daily A 310s to daily A 332s effective May 1st. BKK - capacity increased from 5 weekly A 310s to 5 weekly A 332s effective mid May. DOH - frequencies increased from daily to 18 weekly flights using a B 737. DXB/BEY - frequencies reduced from daily to 4 weekly flights. MNL - frequencies increased from 10 to 12 weekly nonstop flights using a 2 class B 773ER effective April. PVG - frequencies reduced from double daily to 12 weekly nonstop flights effective July. PEK - frequencies reduced from double daily to 12 weekly nonstop flights effective July. MXP - capacity reduced to double daily A 343s from daily A 332 + daily B 773ER effective October. 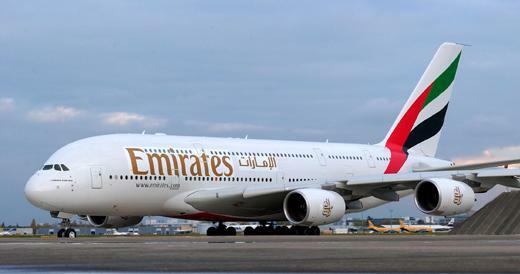 RUH - capacity increased to daily B 773ERs + 5 weekly A 332s + 2 weekly A 343s. KUL - capacity increased to 5 weekly B 773ERs from March 29th and then to daily nonstop flights from July. GF has leased from Jet Airways 4 B 77Ws for a period of 42 months of which 6 are on wet lease where as the remaining 36 months are on dry lease. DMM - frequencies increased from daily to 12 weekly nonstop flights. RUH - frequencies increased from 3 to 5 weekly nonstop flights. JED - frequencies increased from 5 to daily nonstop flights. 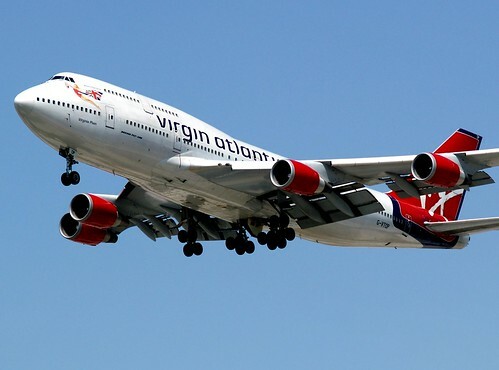 Virgin Atlantic has revealed on the GDS that its capacity to Hong Kong for Summer 09 will be reduced keeping in line with forecasted demand during that time. The new schedule sees double daily nonstop A 346 operated flights replaced with daily A 346 + daily A 343 operations between June 29 and mid September where as frequencies will be reduced to 11 weekly flights from April till late June i.e. 4 weekly A 343s + daily A 346s. PIA of Pakistan has officially confirmed that it will be increasing capacity to CDG-Paris from the on set of the Summer 09 IATA season. Twice weekly flights will be flown using a B 777-300ER and B 777-200ER once a week each from Islamabad and Lahore respectively. The ISB-CDG flight is routed via MXP-Milan where as LHE-CDG is flown nonstop. With regards to BHX-Birmingham, capacity has been increased from 4 weekly B 772ERs to 4 weekly B 777-300ERs for the entire summer season. Singapore Airlines has announced that it will be reducing capacity on its SIN-Dubai-Moscow route from March 29th. Currently, this sector is flown 3 times a week using a Boeing 777-300A, however it will reduced to a smaller Boeing 777-200ER from end March due to the current economic turmoil plaguing Dubai and Russian markets. British Airways has revealed on the GDS system that it will be increasing capacity to Toronto and Houston for the IATA Winter 09-10 season. With regards to YYZ, it will be flying the route on a double daily basis using a B 772ER for both flights where as for the current winter season it uses a daily B 763ER + daily B 772ER. As far as IAH is concerned, capacity will be increased from double daily B 772ERs to daily B 744 + daily B 772ER. Swiss has officially confirmed that it will be suspending all of its daily flights to Santiago, Chile effective March 29th. It currenly flies the route on a daily basis using an A 340-300 via GRU-Sao Paulo with 5th freedom traffic rights. No official reason has been cited by LX, but apart from wanting to concentrate on the higher yielding GRU market, it is being pushed by LH to suspend all loss making long haul routes as soon as possible due to the worldwide economic slump. Jet Airways of India has officially announced that it will be launching new daily nonstop flights to KWI-Kuwait from its Mumbai hub using a Boeing 737-800 effective March 29th. 9W too confirmed that it will be suspending its daily CCJ (Calicut) - Doha flights from late March onwards due to the airline wanting to focus on higher yielding Middle Eastern route sectors which have little bit more business travel demand especially. Austrian Airlines has confirmed that it will be reducing its flights to Jeddah, Saudi Arabia from the on set of the Summer 09 timetable. OS will be only flying VIE-JED nonstop twice a week in the summer using an A 320 which has the new regional business class in-flight product. The carrier too confirmed that it will be reducing its flights to Moscow, Russia from triple daily to 19 weekly nonstop flights. American Airlines has officially announced that it will be increasing frequencies to triple daily on the Dallas-London Heathrow route from May 1st till Oct 26th only to cater for higher than fore casted traffic demand on this core route of AA. The carrier will be using a B 763ER for this new flight and thus the route becomes operated with a daily B 772ER + double daily B 763ERs. British Midland (BMI) has officially confirmed that it will be increasing frequencies to Beirut and Amman for the upcoming summer peak season. BEY will be increased from daily to 10 weekly nonstop terminator flights using an A 321-200 where as AMM too will get the exact same type frequency increase using an A 321 as well. Both desinations will be increased from June onwards. Air India has officially confirmed that it will be increasing capacity to ORD-Chicago from April from India via Frankfurt using a Boeing 747-400 on a daily basis. However, the ORD flight will originate and terminate from Delhi rather than Mumbai as AI is building a scissors hub at FRA which sees its EWR flight flown to from BOM via FRA. Currently, ORD is flown to on a daily basis using a smaller Boeing 777-300ER which however has a superior in-flight product in all 3 cabin classes. In this way, EWR and ORD pax can fly on AI to BOM and DEL via FRA in both directions as connections are easily made available. CAI - capacity increased from 3 weekly A 332s to 3 weekly B 772ERs. VIE/ZRH - capacity increased from 3 weekly A 332s to 3 weekly B 744s. ORD/MUC - capacity increased from daily B 763ER to daily B 772ER. ORD/CDG - capacity increased from daily B 763ER to daily B 772ER. IAD/FCO - capacity increased from daily B 763ER to daily B 772ER. IAD/AMS - capacity reduced from daily B 772ER to daily B 763ER. JED/RUH/BLR - new twice weekly flights to be launched using a wet leased B 757-200. JED/CCJ - new once a week terminator flight using a B 757-200. JED/RUH/CCJ - new once a week flight using a B 757-200. China Eastern Airlines has officially confirmed that it will be increasing its flights from its PVG-Shanghai hub to LAX-Los Angeles, USA from June till October to cater for high demand during the summer peak season. Effective June 8th, MU will increase PVG-LAX from daily nonstop flights to 9 weekly all using an Airbus A 340-600.